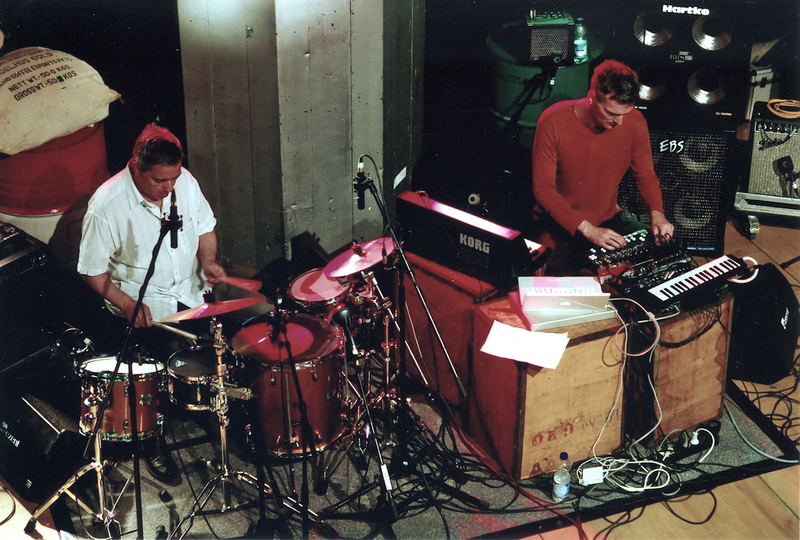 Twenty years ago GARY STEEL interviewed German electronic legend Burnt Friedman. Burnt Friedman (aka Nonplace Urban Field) is possibly the most original musician redefining the boundaries between electronic composition and elaborate (but still funky) grooves. The Cologne-based musical alchemist was easily the highlight out of the hundreds of DJ-performers at The Gathering, and now Auckland audiences get their chance to hear his tricky wizardry for themselves. Gary Steel, bowing before the altar of pure genius, asked his hero some questions. Gary Steel – Since you were here last summer, there seems to be quite a change in your music; more funk, more fun. What happened? Burnt Friedman – More funk also includes more fun. Actually, I put some mean songs together recently, but it took me a while to realise that. In fact, since I travel along the southern hemisphere I notice how powerful the environmental influence is on musical perception. Hopefully I will take home an ability to judge upon music from this particular angle. Unfortunately, in Chile (where Burnt recently made an album with fellow expatriate German electronic guru Atom Heart under the Flanger name) a lot of punters discover techno dance music right now in its most monotonous outfit, reduced to the aspect, that – while the DJ plays the rhythm – they have more than enough time to observe and enjoy their own bodies unifying with each other. I would have liked to grasp some more vibes from the traditional Chilean music styles. The fish market in Santiago is the place to go. Gary – Tell me about your relationship with Atom Heart. Do you share a close perspective on electronic music-making? Burnt – I’ve got the feeling that we both share a similar sense of humour when it comes to programming. We couldn’t resist throwing the most ridiculously twisted breaks at ourselves to see the other curling up in a local spasm. Besides, he also seems to look at the musical aesthetics first: how coherent the acoustic illusion is designed, and if there is enough going on in the music to constantly stimulate our concentration. Maybe this is because we both were drummers. As a drummer on an instrument playing rock band I’ve had the chance to be fully aware of what the others were doing. In fact, I concentrated on the sound, while the others were trying to get their solos together. I used to hammer my stupid breaks in, every now and then, and kept on exercising a programmable pattern. The physical aspect of drumming didn’t interest me. Instead, I wanted to listen to the beats ticking in my head. With the cooperation of the rhythm machine and the sampler – to speak on Atom’s behalf – we were finally enabled to get further away from the boring work to put ourselves into the listener’s position. Atom’s beats are probably ticking in a similar way. When we were programming on the record we agreed on every single idea popping up… no discussions, no compromises. Gary – What other electronic composers do you admire/respect? Burnt – I don’t see this term (electronic) being useful anymore. Can you distinguish between an electronic and acoustic musical piece since anything may come out of the sampler or the hard drives? It could be definable in terms of programming or instrument playing. This, as well, has been mixed up so well, that even the producers may not be able to trace down the methodology of single tracks on a song. I do like some of the pieces that have been released on the Dot, Pussyfoot, Bovinyl, A-Musik, Touch, Chain Reaction, em:t, Language, and so on, labels, but I can’t see any world champion programmer in particular, yet. Atom Heart is in good form, though. 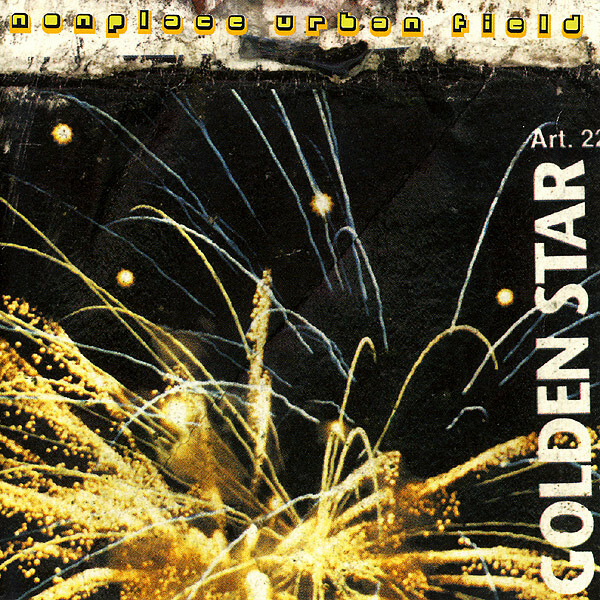 Gary – NZ audiences have been hanging out for more Nonplace Urban Field since the remix album, Golden Star, was released late ’96. What have you got coming up? Burnt – Heaps of almost finished narcotics waiting for a release plan. 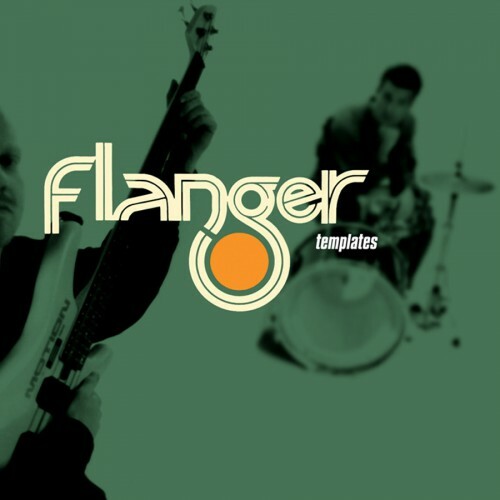 Atom Heart and me are going to put out an album as Flanger, hopefully later in 1998. Rotorua’s mud pools will have made it on a record sooner or later this year by the first Stinky Jim/Burnt Friedman recording venture. Nonplace Urban Field on Dot records is going to happen and also, a new band project has been born: the Nu Dub Players, whose members Crucial Guenther, Jah Verna, Bernie The Bolt, DJ Booth and the Cousin of the Sausage Smearer have managed to print their first self-centered studio album, followed up by diverse postdub solo releases. Besides, I’m glad that the two recent Nonplace Urban Field records have been made available again as a double CD unit on Incoming Records. Gary – I believe you have signed to the hippest record label in the world, Sweden’s Dot. Why did you leave Incoming and move to Dot? Burnt – I didn’t really move nor leave, I expanded. Dealing with other people in a different country will be a worthwhile experience, since I’ve noticed that Anders Bersten as a music fan and as a businessman from the Dot label has something to say through the music he’s into. I can also get along with the recent Friend and Quant releases. There are two wicked compilations coming out on Dot soon, and my feeling is that the label will do pretty well on not logging in and releasing Big Beats with 303 rhymes, or so. Gary – What can audiences expect from the Herzog (K’Road club) performance? What is your methodology in a live context? Burnt – An improved version of MYO: Mix Your Own, an enhanced DJ terminal. Instead of two stereo tracks according to two turntables, I’ll be mixing eight separate tracks of prerecorded sounds and sequences. The composition that results will be composed of the spontaneous interference of the various independent tracks. Another, different gig is going to happen in the Titirangi rainforest. 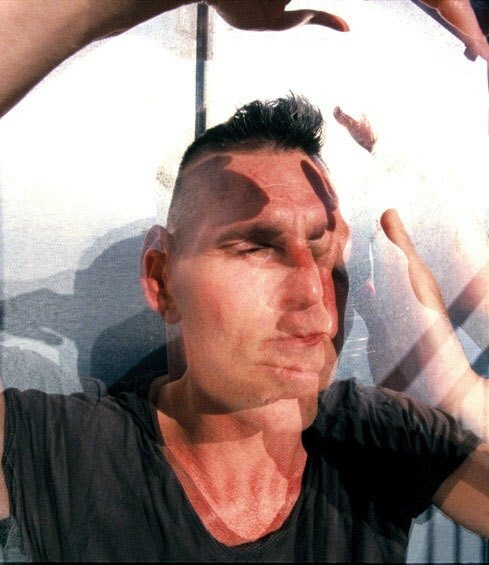 Gary – I suspect that more sheer graft goes into one short NUF piece than entire albums of most electronic artists. Do you find that listeners understand the attention to detail? Burnt – There’s nothing to understand. Aesthetic qualities, in the sense of Baumgarten, not Kant, come first. My ears didn’t develop to receive highly redundant codes such as commands or loops, but to manoeuvre myself safely through the darkness. Therefore I can’t shut them down. This sense is so reliable. What are the sounds that please this sense? Non-repetitive patterns, unlimited in its depths, such as the ocean, a waterfall, rain, bubbling mud, the wind through leaves, opposite to ground humming, traffic and lawn mower. This trick is to achieve similar structured patterns within a common musical language. Common in so far as it has a start/endpoint, a beat, etc. Programmings can take a while until it becomes an indefinable, naturalistic mumbling of the elements. Gary – You started out as a drummer, but also collected samples from an early age. How are these formative developments apparent in your current work? Or are they? Burnt – I enjoy being a dilettante ever since. The main concern has always been to tape the session properly, to achieve a result that could be shaped into something I would want to listen to. The method of getting there has been pretty much neglectable. Gary – If you had to set your music to one particular purpose – dance groove or complex listening – which would you choose? Burnt – Don’t be pessimistic about the future development of complex listening dance grooves; isn’t it the obvious marriage? Gary – Can you tell us about your secret project with Stinky Jim? Burnt – We’ve just finished the first step of our longterm mud project: strictly mudwise! It features the sound spectrum of Rotorua’s steaming mudpools, hopefully to be released on Mud&Fire Records. On this first ambient recording we hardly treated the respectable mudbubbles but we will hardly keep a straight face and program funky mudbeats in the near future, incorporate the busiest bubbles with more accessible musical structures. The must-see Nonplace Urban Field performs at Organic Synthetic with Soundproof and Pitchblack at Herzog. Gary’s 2018 notes: Burnt Friedman kept coming to New Zealand every summer until his last visit in December 2004. He went on to collaborate on a series of albums with Can drummer Jaki Leibezeit, form a group with former Japan singer David Sylvian, and when both Incoming and Dot labels went bust he started his own label, Nonplace. 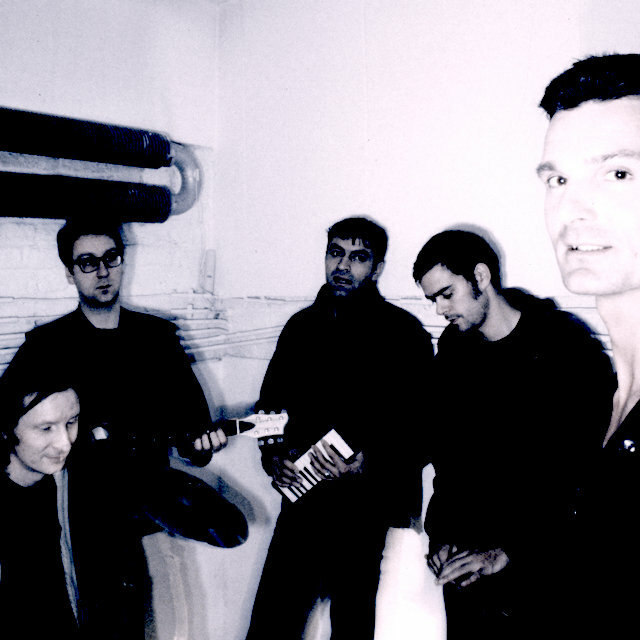 Eventually moving to Berlin, Burnt Friedman still makes extraordinary, intricate music. I miss him.